These companies can accept, on any given day a wide variety of metal types and thickness and so the machines they use require a great deal of flexibility and performance. 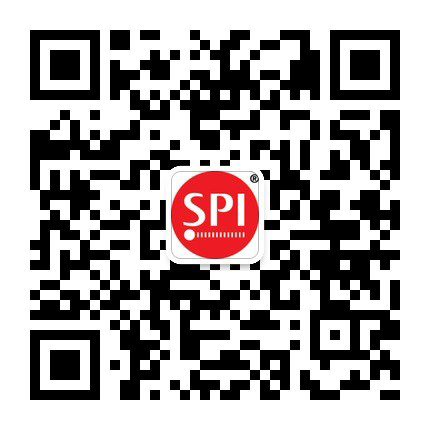 This application insight looks at the affordability of cutting with medium power Fiber Lasers, it focuses on a specific case study where we work with a machine builder to create a machine at 50% of the cost of the more traditional Laser cutting machines. The high end Laser cutting machines deployed in specialist job shops can cost in the region of $500K to buy and so need to be operated on a 2 or sometimes 3 shift basis to make a return on this high capital investment. To support the ROI calculation, the machine builders are encouraged to use ever more powerful Lasers and claim faster and thicker cutting data for their machine. This eventually becomes a cycle of events which pushes up machine performance but also price and so reduces affordability. However, there is an alternative way to look at the requirements of industry to cut metal. What if the end user (E.g. consumer electronics company, white goods manufacturers, HVAC supply etc) wished to keep the metal cutting in-house and not send it out to a specialist job shop? What would that mean for the performance and price requirements for the cutting machine? A specific company tends to know how thick its metal parts will be, and so does not need to allow for a parts range of 1-25mm. A very high percentage of parts are made from metals less than 2-3mm thick. Companies only working on a single shift would only want a machine to run a single shift, so lights out operation considerations do not apply. Volumes may not be so high and therefore speed not such a consideration. In fact a specific machine, going into a specific factory, may look very different from a general machine going into a job shop. But different in what way? One key consideration is not to lose the cut quality, in fact if anything to improve it, but to create a machine concept that is fully affordable to end user companies both due to capital cost and also operational cost savings. Since the number of end user companies probably is a factor of 100 greater than the number of specialist cutting job shops then perhaps there is an opportunity for cutting machine builders similar to that from low cost airlines many years ago. Machines built to a budget and specification purpose fitted to the end user market could move Laser cutting into the factory and away from the specialist shop. We worked with Techinwest of Poland to create a machine at 50% of the cost of the more traditional Laser cutting machines found in specialist shops. 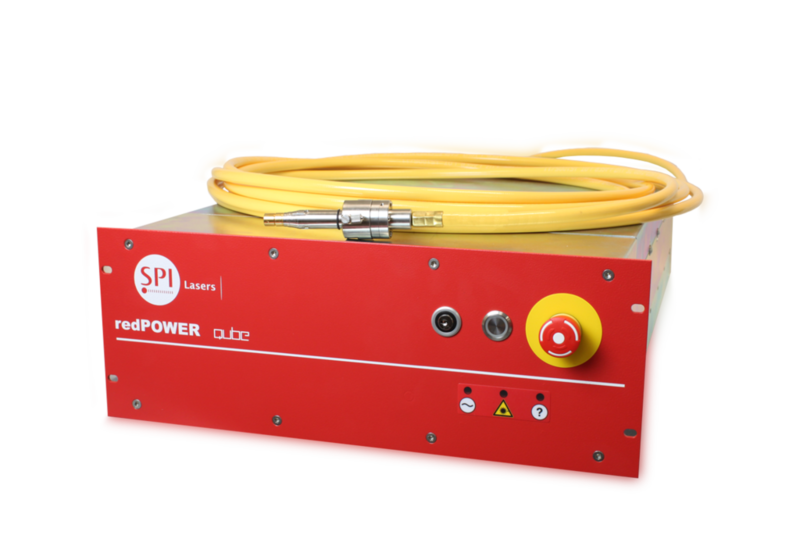 If we focus on 2-3mm thick metals and cease to make cutting speed the key criteria then a high quality but low cost beam source such as our redPOWER range of Fiber Lasers can be applied. The all-in fibre delivery cable enables this to be straightforwardly coupled to a light weight and compact process head such as the “Fiber Mini” available from Laser Mechanisms Inc. This “flying optic” configuration leads to a number of benefits that impact the design and cost base of the cutting machine. A key feature of the Fiber Laser over other Laser sources is the high energy density when the beam is focused to spot sizes in the range 30-100µm. This enables not only compressed air cutting of steels but also cutting of reflective materials such as brass, aluminium and copper. 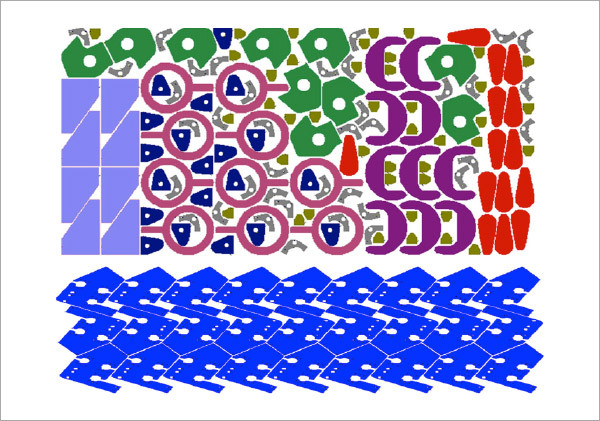 The same feature also enables the Laser to cut highly intricate shapes or precision parts. This however places a requirement on the machine builder to design the motion system to a repetitive position accuracy of +/-0.025mm. Components such as motors, encoders, drive systems and gearbox must be specified accordingly. Additionally the requirements on the CNC control to achieve the best performance mean that many components used are more typical of the world of Laser beam source machines rather than that of plasma beam source machines. Laser cutting machines based on 1µm sources need to take into account eye safety considerations at this wavelength. The Laser radiation must be confined within a Class 1 Laser safety enclosure resulting in machine designs such as the example shown in Figure 2. The end user, as with the job shop, is always considering the return on investment possible from a capital purchase. The machine may cost 50% of the higher performance machines but will pay for itself whilst cutting at half the speed. Techinwest have shown their many customers that by using a beam source offering 90% better energy efficiency than C02 sources, and opening up the possibility of compressed air cutting the investment decision becomes easy. Often the machine may be compared to high definition plasma based machines but here other considerations come into play. 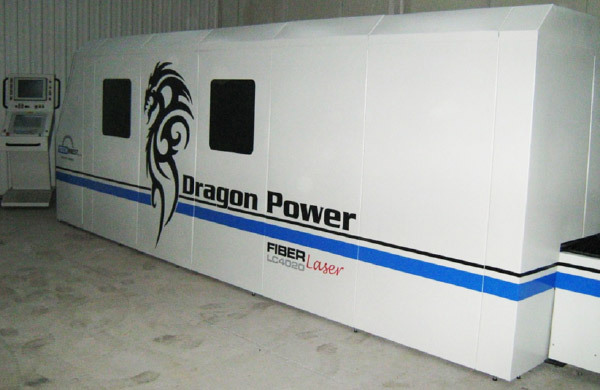 The Fiber Laser can common line cut material and has a fine (0.1mm) cut kerf. The combination of these features offers the capability for highly dense nesting and so a material saving on each sheet of metal. Users can see this translate into many thousands of $ saving each year in metal. Each company has different requirements for metal cutting and so we have created a cost calculator sheet looking at many of these aspects. In discussion with a particular customer we can usually determine the cost per meter cut from their current methods and the cost per meter cut from a Fiber Laser based low cost cutting machine. Please contact our sales staff if you are interested in finding out more about this, or any of our application insights or, in creating your own ROI case.